Chivas USA joins the Chicago Stags, Cleveland Spiders, and Montreal Maroons as an answer to a trivia question about defunct teams. Chivas USA, Major League Soccer’s second Los Angeles franchise and a little brother affiliate to a Guadalajara team, couldn’t quite forge its own identity. MLS pulled the plug on the decade-old soccer team on Monday. The ill-fated franchise played its final game on Sunday, a 1-0 win over San Jose. Chivas, which means “female goats” in Spanish and “expensive scotch” in English, finished the 2014 campaign with a 9-19-6 record. 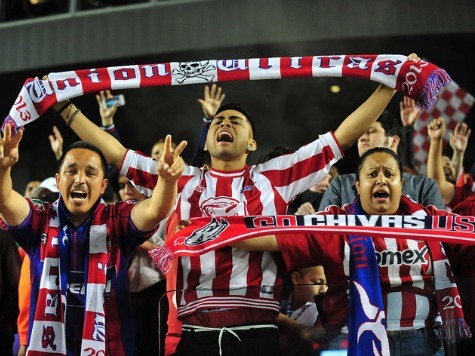 Chivas attracted an average of just 7,063 fans per game in 2014, the only MLS team averaging in the four digits for fans attending home games. Despite the loss of a team, MLS won’t be retracting. The league boasted just 11 teams when Chivas USA entered it. LA will once again launch a second MLS team, to compete with the Galaxy, in 2017. The teams in the league will hold a special draft in November to divvy up Chivas USA’s players.